Where Was the Viking Colony of Vinland? Norse or Viking exploration is fairly well-known thanks in large part to a considerable amount of surviving primary sources. The Vikings explored and established colonies as far west as North America and to the east in Russia. Modern scholars know this due to a plethora of written texts, which includes those written by the Norse as well as the many people they came into contact within Europe and the Middle East. Modern archaeological work has also helped uncover many of the mysteries of the Norse sagas, which were semi-historical stories about their kings, nobles, and various other heroes who were worthy in Viking eyes of being remembered for their great deeds. 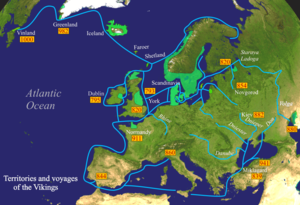 One particular mystery that was debated for decades was the claim in two of the sagas – Erik’s Saga and The Greenland Saga – that the Norse discovered and colonized North America, which they referred to as “Vinland” or “Vineland,” approximately 500 years before Columbus made his first voyage to the Caribbean. Many scholars believed the sagas were just boasts or good yarns until a Viking Age settlement was discovered in 1960 in L’Anse aux Meadows at the tip of the island of Newfoundland in the Canadian province of Newfoundland and Labrador. Excavations at L’Anse aux Meadows throughout the 1960s confirmed that it was indeed a Viking settlement, giving credence to the two sagas, which are often referred to collectively as the “Vinland Sagas.” Although there is a consensus among scholars that the Vikings established a small colony briefly in North America in the early eleventh century, there is no consensus regarding the specific location of Vinland. 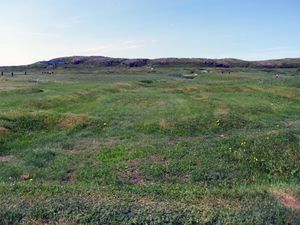 Since it is not possible to grow wine producing vines in northern Newfoundland, many scholars believe that L’Anse aux Meadows was a staging point and that Vinland was farther to the south. Based on some factors, primarily flora and fauna, the modern Canadian province of Nova Scotia is probably the best candidate for the location of the Viking Vinland. The Viking Age began in the late eighth century AD like a bolt of thunder coming from Scandinavia across most of Europe. Many factors contributed to the raids that so epitomized the period. The loose political structure in Scandinavia allowed wealthy warlords to organize warbands to conduct raids, while the lure of easy riches in European monasteries was certainly a pulling factor. The Viking religion, which placed a premium on bravery and the virtue of dying in battle, also led to many young men searching for fame and fortune beyond Scandinavia. But perhaps just as important as warfare was to the Vikings, was the desire and will to explore. The Vikings’ outstanding ships and seamanship gave them the ability to travel great distances and the element of surprise in amphibious attacks. As fearless as the Vikings were in battle, they were equally brave on the high seas because to die at sea during exploration was considered just as honorable as dying in the battlefield. The Vikings’ shipbuilding skills and technology provided them with the ability to travel long distances in their ships. Viking ships were constructed by overlapping strakes that were joined with iron rivets and then caulked with animal hair, which gave the ships the ability to maneuver better and travel faster. The sea vessels that the Vikings used for war and long-distance exploration was low and narrow relative to their length and usually made of oak. Not long after the Greenland settlements were established in 985, a Viking mariner named Bjarni Herjolfsson was blown off course during a voyage from Iceland to Greenland and became the first of his people to sight North America. The tale of new lands to the west intrigued the inquisitive Vikings, who set to work to conduct a full-fledged expedition to the mysterious lands. Around the year 1000, Leif Eriksson, the son of Erik the Red, led the first recorded expedition to North America. The two Norse sagas divide North America by topography: Helluland (Rock Land) coincides with Labrador or Baffin Island; Markland (Wood Land) coincides with Newfoundland; while Vinland (Wine Land) remains enigmatic and a source of dispute among modern scholars. 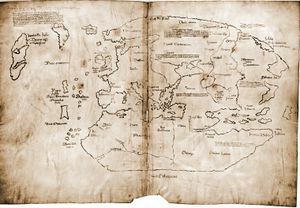 Both of the Vinland Sagas describe Vinland, but the Greenland Saga gives a more detailed description of its discovery. The passage describes how Leif and the other Vikings found their comrade, Tyrkir the German, who had wandered away from their camp by accident. 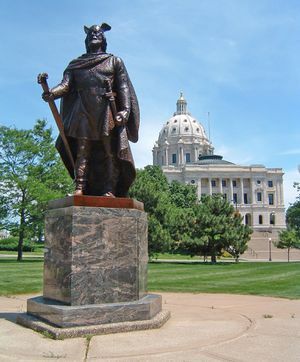 According to the sagas, another of Erik’s sons, Thorstein Eriksson, led expeditions to North America, as did Thorfinn Karlsefni. Although the existence of the Vinland Sagas was known quite widely in the modern world, many thought they were the boastful stories of Norse skalds until the discovery of L’Anse aux Meadows in 1960. L’Anse aux Meadows represents so far the only substantial archaeological evidence of a Viking colony in North America. Located at the northern tip of Newfoundland, L’Anse aux Meadows was once the site of a modest Norse settlement of several large buildings that were surrounded by turf walls. 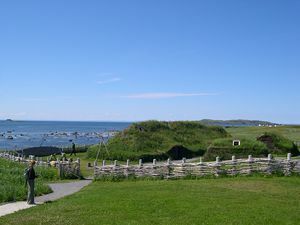 Many scholars believe that L’Anse aux Meadows was the location of Vinland, but many are skeptical of that assessment for several reasons and place the position much farther south. After the discovery of the Viking settlement in L’Anse aux Meadows, the majority of Norse scholars in the 1960s and 1970s believed that it was synonymous with the enigmatic Vinland. An examination of the evidence from the site seemed to confirm that idea on some levels: there were as many as ninety inhabitants there during its peak, and iron rivets and slags were found there along with the remains of a blacksmith’s shop, all of which indicate what was intended to be a long-term colony. But a more critical examination of flora and fauna mentioned in the Vinland Sagas pointed to a more southerly location for Vinland. In the late 1970s, the idea that L’Anse aux Meadows was a permanent colony that functioned as a transit point for Norse explorers heading farther south into Vinland was popularized. The fact that the Gulf of St. Lawrence is the northernmost point where grapes can grow in the wild led scholars to look for Vinland somewhere in that region. The Norwegian historian Gustav Storm first forwarded the idea in 1887 that Vinland was located in the modern Canadian province of Nova Scotia, based on flora and fauna of the region. Storm’s assessment was refuted because there are no wild grape vines found in Nova Scotia today, but early modern French explorers mentioned them in their observations, and it should be noted that the area was warmer in 1000 AD. Concerning the other plants, animals, and people that the sagas mentioned as native to Vinland, Larsson believes the wild wheat mentioned was probably wild rye, which is found throughout Nova Scotia. Salmon is also abundant in Nova Scotia and can be found as far south as Cape Cod. Finally, the Amerindians mentioned in the sagas who used “skin boats” to travel were probably the Micmac Indians of Nova Scotia, who were known to make their canoes from moose skins occasionally. The theory that Vinland was farther to the south than Nova Scotia is less appealing, but should be considered. Scholars believe that the Viking colonization of North America only lasted about twenty years. L’Anse aux Meadows was simply too far from the Greenland colonies, which were themselves far from Europe, and the ever bellicose Norse made too many enemies with the indigenous population. The Vinland Sagas relate this last point in several passages. The Norse exploration and colonization was an amazing chapter in European history, but it ultimately proved to be ephemeral. It would be hundreds of years before Europeans returned to North America and even longer for modern scholars to realize that the Vikings were there before Columbus. The Vikings’ discovery and exploration of North America is an interesting and exciting aspect of medieval European history. Archaeological evidence from L’Anse aux Meadows confirms that the Vikings did colonize North America, but the location of the fabled Vinland remains an enigma. Some scholars believe that it was L’Anse aux Meadows, but based on flora and fauna mentioned in the Vinland Sagas, it is more likely that Vinland was located somewhere in the modern Canadian province of Nova Scotia. 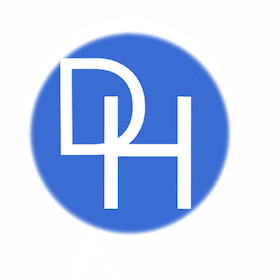 This page was last edited on 9 February 2019, at 17:29.